So I've been feeling a little torn when it comes to the ol' blog lately. Since I started trying to document more of *the daily ordinary* stuff through Project Life I haven't been blogging *the daily ordinary* stuff as much. And I miss that. I think. But I haven't quite figured out a good balance yet, it feels kind of redundant to do both right now. Remember how I told y'all I was all up in TurboFire these last couple of weeks and was looking forward to continuing my streak? Well, I had a bit of a set back this week and am so bummed. Do people still say bummed? Last Friday afternoon I was doing my sixth TurboFire workout for last week (!!) and was feeling all kinds of good about my effort and commitment and follow-through and stick-with-it-ness, well...I fell off my high horse. Except only semi-literal because I wasn't on a horse, but I did take a tumble. I lost my balance on one of the moves, my foot turned a bit and the rug slipped, my foot/ankle rolled even more and I went down ever so gracefully. Or not. Thankfully I don't think anything was broken, just badly strained. I was still able to bear weight, but my foot was swollen for several days and I'm fairly sure I resembled Igor dragging my foot behind me for most of the weekend & beginning of this week. The swelling has gone down now and I'm able to walk more normally (yay!) but I've missed oh...something like 5 days of exercise and I hate-ity, hate, hate that. 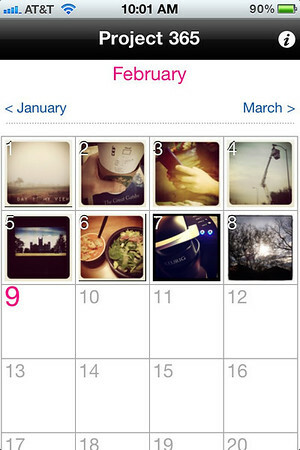 I've been taking my #febphotoaday photos, have you? 1. my view, 2. words, 3. hands, 4. a stranger, 5. 10:00 (watching Downton Abbey, as you should be doing too), 6. dinner, 7. button, 8. sun (I tired to get cool sun flare but it was not cooperating). Today, (9.) which I have not done yet, is front door. 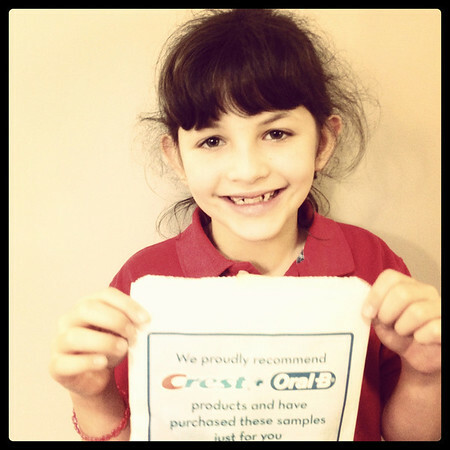 In other news, Annelise had a dentist appointment earlier this week. She thought it was so cool to be checked out of school a little early, I guess we haven't had any reason to do that so far this school year. She hasn't had one single tardy this year either. Of course now that I've typed that we'll probably break our streak. After the dentist we stopped by the health food store, which by the way I probably won't be darkening their door again any time soon. It turns out they weren't all that nice and were out of stock of some things and I later discovered I could buy the same things at The Vitamin Shoppe. So there, take that health food place. 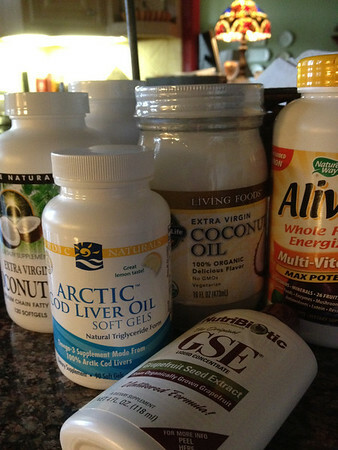 This assortment of supplements cost a small fortune. Why is it so ding dang expensive to try and be healthy? Fish oil gels, coconut oil gels, daily multivitamins, coconut oil in a jar, and grapefruit seed extract for washing fruits and veggies (which I haven't done yet, I'm a little scared to see the residue left in the bowl afterwards and know I've been eating that residue for years, nice). I also bought apple cider vinegar capsules and some gummy vitamins (for Annelise, which she has been begging for and I've been dragging my feet because of their gummy candy-ness--not that we are anti-candy--hello, have you met me?--but I wish vitamins for kids didn't look like candy. I can't explain my reasoning, but I've been quite stubborn about it. I'm fairly certain I had a few more this & that type things to share but now I'm drawing a blank. Maybe I just thought I had some. Oh well. I hear some laundry calling my name anyway. And I just might put my newly recovered foot to the test and try to get it to work out with me. For me. Fingers crossed. Or maybe I should say toes crossed. Oh man, what a bummer on the injury. But missing the exercise means you will definitely be ready to go for it again. I do hope you'll keep sharing your this and that blog stuff because I like it. I am watching DA, just hard to find time since I'm running outside more (!) and TV time at home is usually with the Husband who is not interested in DA. So I'm partway through episode 5 of season 1.
ugh! sorry to hear about the setback...I know that is so frustrating! Oh no, I'm so sorry about your foot.